We are delighted to announce our corporate sponsorship of the Dorset Massed Ensembles Project with Bournemouth Symphony Orchestra (BSO) and the Dorset Music Education Hub. The Dorset Massed Ensembles Project is a large group of young musicians from nine local Dorset schools, coming together on 6 July at Lighthouse, Poole for a public performance. They will play a programme of music that has been selected from the resources made accessible by the BBC 10 Pieces initiative. Performing as one large Orchestra from across the county, the massed ensemble will include secondary schools – The Purbeck School, Sir John Colfox, Gillingham School, The Gryphon School and The Grange; and middle schools – West Moors Middle, Lockyers Middle, Emmauel Middle and Cranborne Middle. The project is being delivered by world-class musicians of Bournemouth Symphony Orchestra and the Dorset Music Education Hub. For many of the 190 children participating, this will be a once-in-a-lifetime opportunity to deliver a concert performance alongside BSO musicians under the baton of the talented conductor William Goodchild. Craig Allison, Head of WHIreland Wealth Management Poole Office said“We are delighted to be sponsoring the Dorset Massed Ensembles Project and celebrate the talents of local musicians with the Dorset Music Education Hub. We are looking forward to the concert in July where guests will enjoy the performance and meeting Bournemouth Symphony Orchestra guests. The BSO helps support local education across the South West, where many of our clients are based and we are delighted to be supporting this particular initiative”. After a full day of rehearsal, under the supervision of BSO and Dorset Music Service musicians, this large ensemble, made up of smaller ensembles that have never played together before, will make their debut public performance as an ensemble to an audience of friends, family, invited guests and to the wider community. The Dorset Massed Ensembles Project is another example of a major partnership project between the BSO and Dorset Music Education Hub. The BSO delivers its work in the community through five strands of its vibrant Learning and Participation programme, BSO Participate. The Dorset Massed Ensembles Project is delivered through the BSO Blast strand, which specialises in bringing classical music alive for 5-18 year olds. 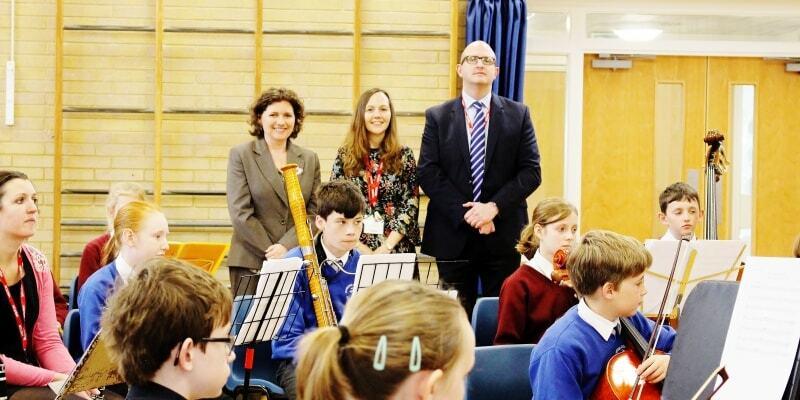 BSO Blast is delivered through a wide range of schools visits, concerts, workshops and coaching opportunities in partnership with schools and Music Education Hubs to bring classical music alive for young people across the South West.